There are people who enjoy camping. They enjoy the feeling of freedom and lack of restriction. If you’ve been reading any of our previous posts, it will come as no surprise to you, to find out that this whole camping thing is totally beyond our comprehension. In the hushed, dark depths of some city somewhere, in an office, insulated from the hard cruel world by legions of secretaries, surrounded by clerks and typists each with the required duplicity of assistants, there is an office where they hold a bi-annual meeting to make those major decisions that require an instant response. Pinned to the wall is a large chart. A man stands before the chart wearing a blindfold. Solemnly his companions rotate him three times then turn him to face the chart. With deliberation he draws a line from top to bottom. They remove the blindfold, to the left of the line he writes boldly ‘Microlight’. They shake hands, pick up their briefcases and leave. There are people who trundle round the skies, dangling underneath a flimsy contraption that looks like a cross between a beach umbrella and a roll of fencing wire. They enjoy the feeling of freedom and lack of restriction. I put this sort of thing in the same box as camping. 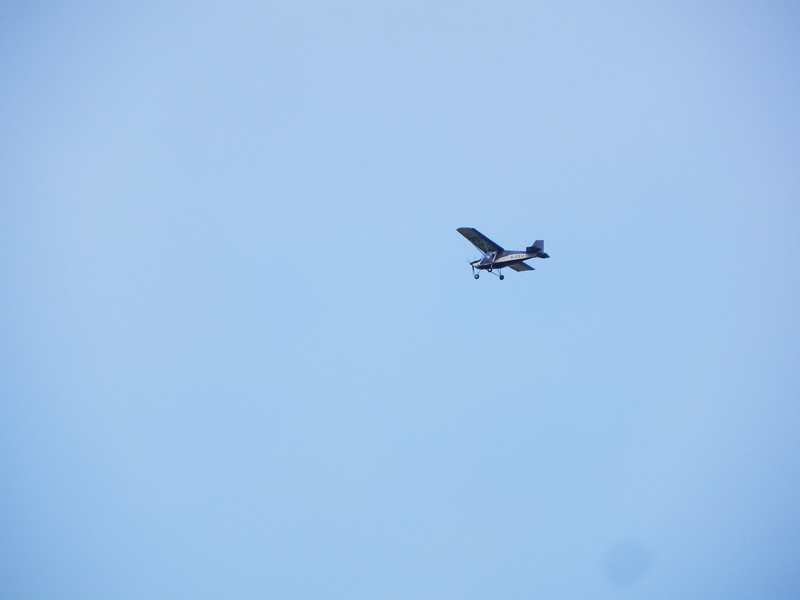 The picture today is not an aeroplane, it is an SLA 80 Executive Microlight. Do you get the feeling that there is a little fudging going on? Surely, flying round in this is a bit like going camping in a three bedroom cottage with all mod cons.